Pregnancy is a special period in the life of any woman; it is also a known fact that maternity clothes should be comfortable for a future mother, but what most people don’t know is that comfortable clothes can also be very stylish. 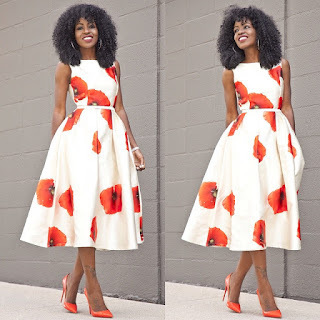 Ankara styles are currently at the top of the latest fashion trends in Africa and the rest of the world, so if you want to learn how to slay and look stylish while pregnant, keep reading this article for inspiration from the best designs of Ankara maternity tops. As we have already mentioned, pregnancy is a rather special period for every woman. During these nine months of carrying a baby, most ladies look really adorable naturally, but they also need to pay attention to the clothes they choose. They should be both comfortable and good looking. That is why there are many special collections of beautiful clothes for future moms, including new Ankara styles for pregnant ladies. We hope you will be inspired by the photos we have prepared for you. Dresses are the most popular maternity wardrobe item because they are the most comfortable thing a pregnant woman can wear. Pregnancy dresses usually have a loose shape, which softly hugs the growing belly, and even more important is the fact that it can be worn until the last months of the pregnancy. But you shouldn't limit your wardrobe to only dresses during the happy nine months of pregnancy. You can opt for the latest stylish Ankara tops that can be combined with other clothing items like shorts, skirts and trousers. Nigerian designers who create fashionable clothes for pregnant women consider not just the comfort of future moms but also the latest trends in the fashion industry. That is why stylish pregnant ladies can enjoy fashion trends like off-shoulder tops, peplum tops and blouses, dramatic sleeves, crop tops, blouses with big bows, etc. The most popular kind of tops for pregnant ladies are peplum tops made with Ankara. It looks simply amazing on a pregnant belly, and what is more, it can be easily matched with different clothes from your wardrobe. Ankara maternity tops are usually paired with trousers for pregnant women, which have a special elastic waist. But whether you choose trousers, jeans or a skirt, you will look amazing wearing a peplum top. You can choose a peplum top with Ankara and lace combo and with long, short or three-quarters sleeves. If you are a bold fashionista, you could also try an Ankara off-shoulder top or a top with deep V-shaped decollete. There are tons of different styles to choose from. This is another very fashionable design trending this season. 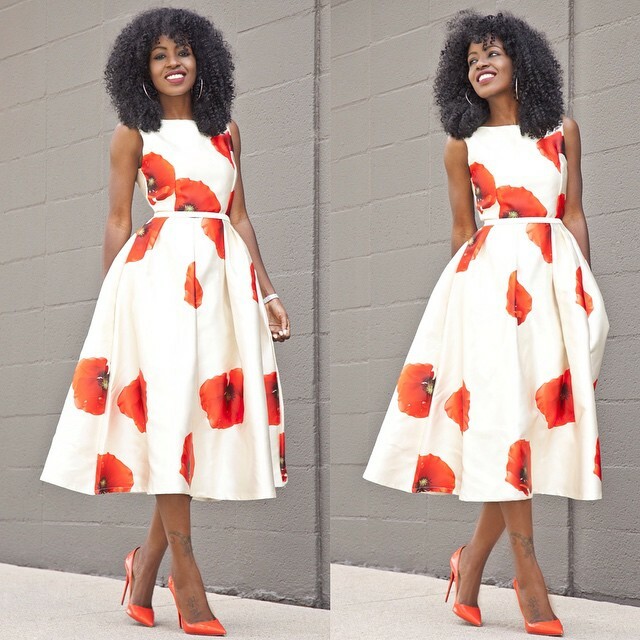 These tops are usually made of ankara, with a free cut shape, high collar and bare shoulders. Another trend of this season and one of the most popular styles many fashionistas are going for is the crop top. Crop tops are another universal element of every wardrobe that can be easily combined with trousers and skirts. The only important thing to remember is to not bare your pregnant belly; so it is better to pair them with high waist skirts and trousers. If you are a fan of free cut off shoulder Ankara tops, then you could easily rock them during pregnancy with cool leggings to create a cute summer look. It is also a very comfortable combination; and comfort is very important during pregnancy. If there is a necessity to create a more official look, you can try to combine your Ankara blouse with one-color trousers or pencil skirt. Simply ensure that the color of the trousers or skirt you choose matches at least one color on the fabric of your blouse. These days, designers are coming up with so many stylish outfits for pregnant ladies, even enough to make other fashionistas jealous. You can create a dramatic look and get every one staring at you by wearing an Ankara maternity top with a train as seen in the pictures below. 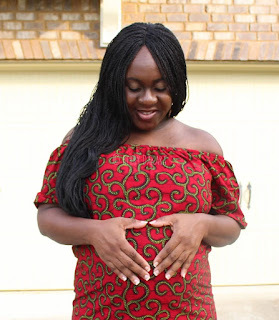 As you can see, Ankara tops seem to be a very popular fashion trend for pregnant ladies; this comes as no surprise considering they are not only practical and comfortable, but also come in so many different designs. Every future mom can create a special look for herself! Some kinds of Ankara tops can hide your belly, while others can emphasize it. Tastes differ amongst women, but we are sure that you will definitely find a top that will catch your fancy and become one of your favourite wardrobe items during your pregnancy. You can also complement your style with a wide diversity of Ankara-themed accessories which will add a special zest to your look. Most wedding outfits are usually dependent on the type of wedding you have been invited to. It could be a formal, garden or beach wedding. However in Nigeria, most weddings have traditional themes and these weddings usually come with their own aso-ebi (family uniform). So every saturday, you see many ladies turn out in their hundreds at weddings with different aso ebi styles and designs. As beautiful as these aso ebi styles and designs make look, sometimes you might not just be in the mood to tie the head wrap that comes with the aso ebi or in the mood for a native outfit. So the next thing that comes to your mind is; what will i wear? These 5 outfits will help you create a stunning non traditional look for your next wedding. No one ever misses it in a wrap. Wrap dresses are perfect for almost all occasions. They are stylish and classy. This dress is perfect for garden and beach weddings. With the perfect accessories, you will definitely turn heads. Cocktail dresses are perfect for wedding too. They make you look classy and elegant. However, try not to wear a white cocktail dress to a dress so you don’t get mistaken for the bride. Jumpsuits are versatile, they never go out of fashion and they it can be a perfect outfit for a wedding especially bright colored jumpsuits. The unique thing about floral dresses is that they are very versatile. They can be switched from formal or corporate outfits to social function outfits. With the right accessories, shoes and hair, you are the perfect wedding guest in this dress. Celebrity stylist and designer Jane Michael Ekanem officially begins theSchool of Styling Lagos to provide styling education for budding stylists. The first set held on the 13th, 20th and 21st May 2017 at the Jane Michael Studio in Lagos, with the fashion entrepreneur tutoring students in Basics of Styling, Ethics of Styling, Skill of Improvisation, Business of Styling, and a Practical Session as part of an Intensive Fashion Styling Certification Course to kick off the school’s maiden set of styling classes. The practical session of the Intensive Fashion Styling Course involved a 3-step project that culminated in the students styling celebrities Okiemute Ighorodje,Bolanle Olukanni and Aderonke Adefalujo and as their respective muses in groups A, B, and C respectively. The conception of the School of Styling Lagos aptly epitomizes it as the fashion school for style visionaries. A truly modern styling institute that tailors learning in accordance with the interests and needs of each student who is enthusiastic about fashion styling. Through innovative practical approach across all channels of learning, the School of Styling operates with a goal to nurture budding and already existing styling careers to create a movement of skilled style professionals, from Africa to the world. School of Styling will run periodically taking on a limited number of students to ensure effective tutoring and hands-on practical training in an elaborate styling curriculum. hoodies, crop tops and the likes. The wears are of special beauty and rare. excellence. The first release was themed “Lagos” and F.O.G. has shown to have unique style up its sleeve and is surely a brand to be reckoned with.The material is of high quality which makes it a very comfortable.